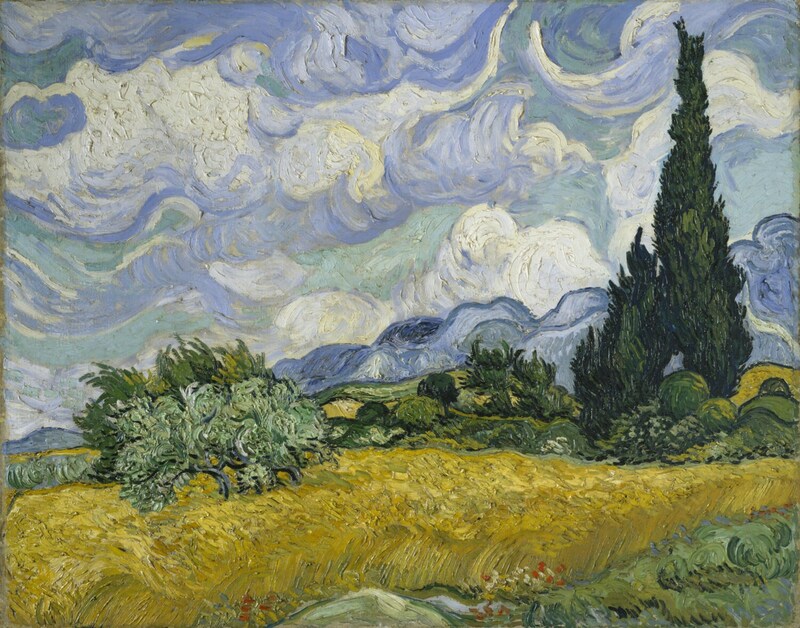 'A Wheatfield with Cypresses' was created at the Saint-Paul-de-Mausole mental asylum at Saint-Rémy near Arles, France. In 1889, Van Gogh was a patient there, after suffering a bout of severe mental illness. This beautiful painting was inspired by the view from the window at the asylum towards the Les Alpilles mountains. Van Gogh considered the work as one of his best summer paintings. It is a testament to his genius that in the face of such adversity, he could create such an exceptional and warming masterpiece.